This was probably the best moment during this afternoons Opening Day pregame activities. As a part of the 1st pitch ceremony, Don Mattingly came out of the Dodger dugout to pull Magic Johnson from the mound in order to replace him with a more able arm. 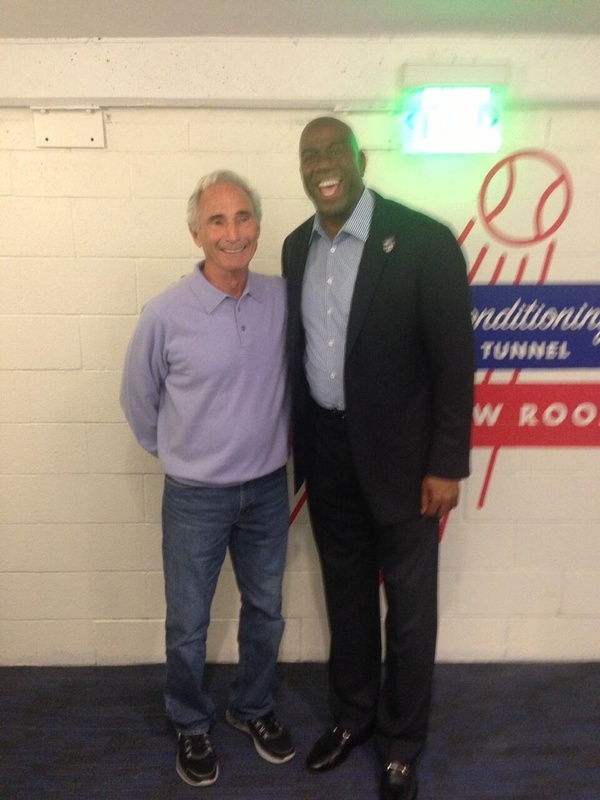 That arm was none other than Sandy Koufax. Watch it below. Also, below is the nearly 8 minute show the Dodgers put together just prior to the 1st pitch ceremony. A bunch of celebrities are featured in it. Through all of the pomp and circumstance that is typically a part of Opening Day festivities, we still had to play a ballgame. And what a ballgame it was. We had the defending World Series Champion Giants in town to renew, if not revitalize, a rivalry that has been painfully one-sided the past several years. On top of that, we were bound to witness a pitching duel, as the staff aces for both clubs took the mound. For my money, I'd place a bet on Kershaw over anybody these days, and if you did that then you came out a happy camper. As expected, we did witness a duel for the ages. Back and forth, Cain and Kershaw matched each other pitch for pitch. Cain went 6 innings while spreading around 4 hits. He also recorded 8 strike outs. For the most part, he had stifled the Dodger bats. 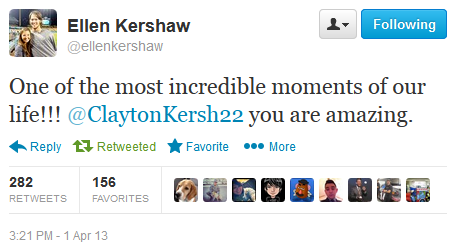 Kershaw was even better- way better! He pitched a complete game to record his first win of the season on just 94 pitches. Better yet, the Dodger bats were so quiet he had to win it for himself at the plate. With the game still tied at zero, Clayton came up to bat lead-off at the bottom of the 8th inning and proceeded to belt his first career MLB home run to straight away centerfield. Heck, I bet he hasn't hit anything that hard since he pitched a high school perfect game that was capped with an aluminum bat home run by him. With that, the flood gates began to open, ever so slightly. For the remainder of the inning, the Dodgers played some small ball to record another 3 runs before Clayton finished the Giants off in the ninth inning. Wow! What an incredible afternoon to be a Dodger fan! As a follow up, I thought I would share a tweet from Clayton's wife, Ellen. She tweeted this just minutes after her husband put the Dodgers ahead for good. See it below. You can also watch a bit of the home run here. Below is an even better video of Clayton's Home Run, via the Dodgers. The new season will soon begin. All that had happened last year, from the change in ownership to the massive trade that did not lead to the playoffs, no longer matter. It's a brand new season. Everyone starts out the same. Remember, it's a marathon, so be sure to stick it out for the long haul. We'll go though our ups and downs, but for today we can celebrate the Spring with a clean slate. Blog Kiosk: 4/1/2013 Happy Opening Day! Check out the Kershaw's new Kershaw's Challenge T-Shirts. Get your own shirt on their website, here (Arise Africa Store). 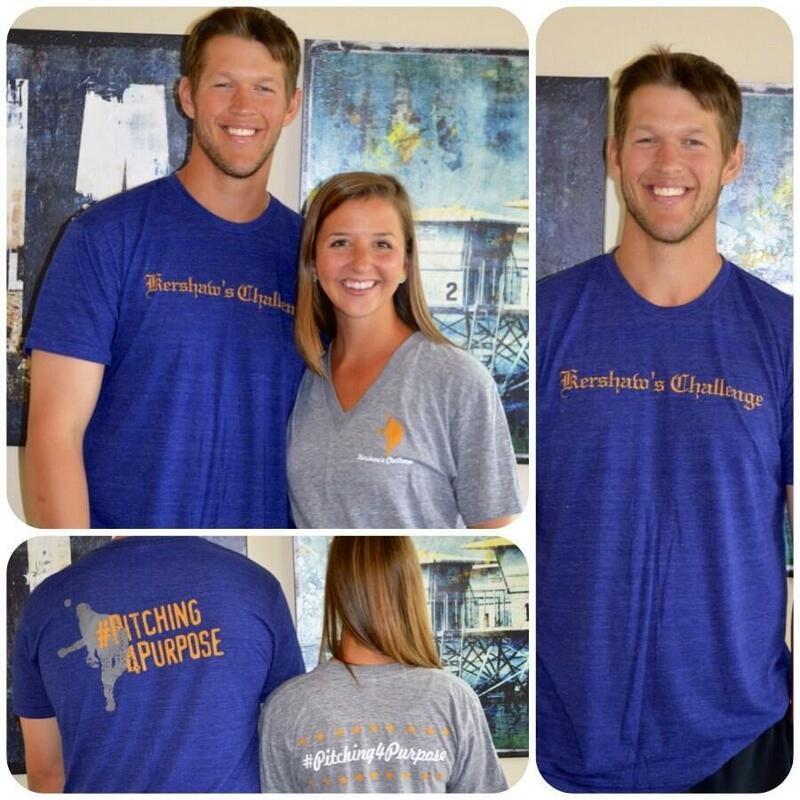 Pic via twitter @ellenkershaw. Do you have a story or a story to tell about someone battling through breast cancer? Well, MLB (including the Dodgers) are looking for your story and will honor someone as a Honoray Bat Girl. Go here for more information. Left Field Pavilion makes a great Opening Day graphic. Check it out. 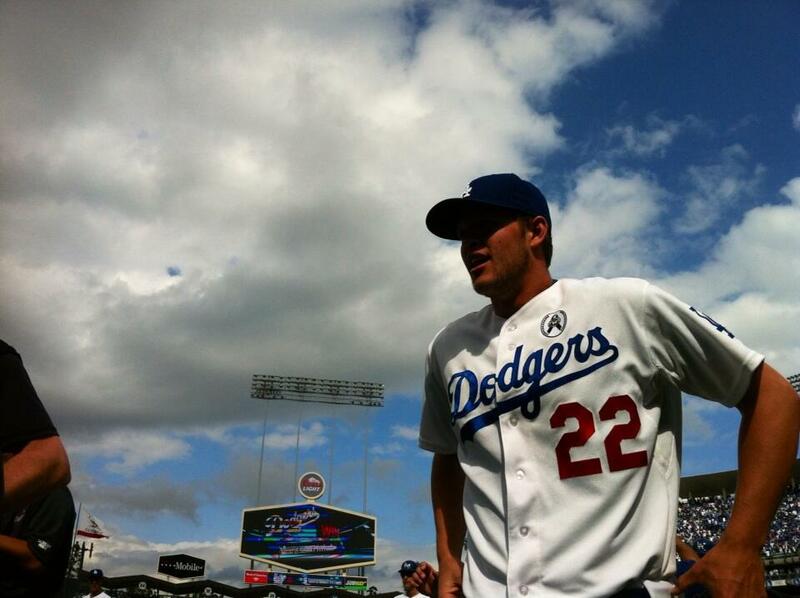 An Opening Day poem from MLB FanCave participant and resident Dodgers' fan Aaron Roberts. Link here. Mark Smith at ABQ Journal Sports writes a great piece on the struggles Albuquerque went through to bring back Baseball after the Dukes left. This season marks the 10 year anniversary of the Isotopes. Max Weinstein at Beyond the Boxscore lets us know who should be platooned in 2013. 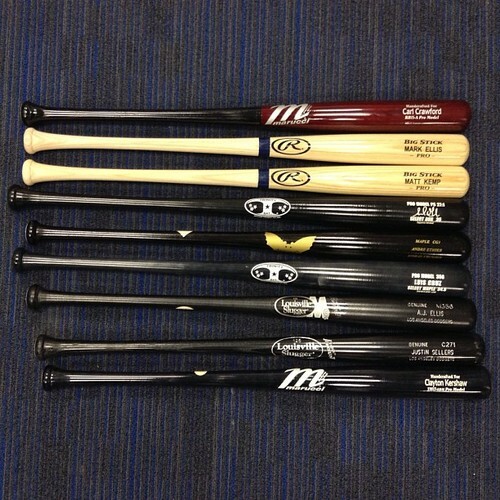 Both Ethier and Dee Gordon made the list. Paula Massingill at Huffinton Post details some of the best places to eat before a Dodgers' game. 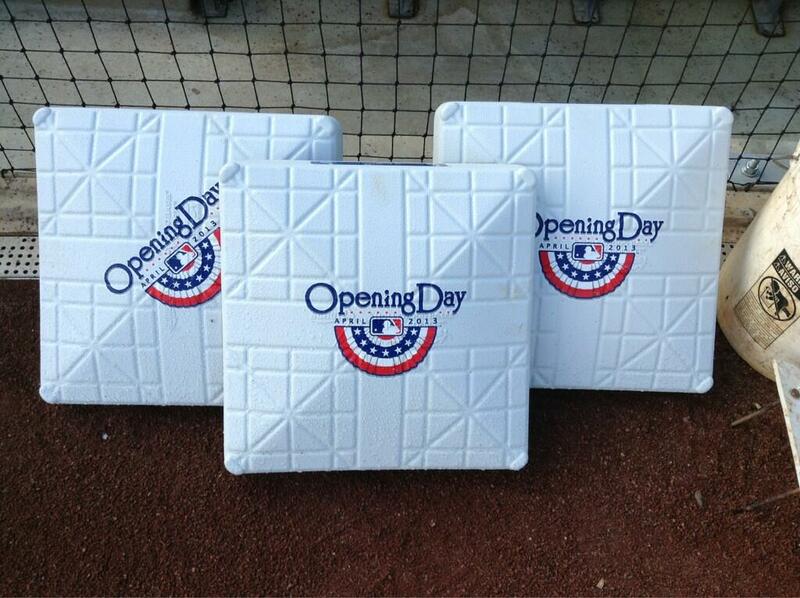 Just because it's Opening Day. We're "Talking Baseball - Willie, Mickey and the Duke" by Terry Cashman. Yesterday, while driving deep within Orange County I noticed a billboard I did not expect to see. Located in Santa Ana, right on the border of Costa Mesa and Santa Ana was a Spanish language Dodgers' billboard featuring Hanley Ramirez. It was on the corner of Harbor Boulevard and Warner Avenue, and it overlooks a Donut Star. A Whole New Blue, Indeed!